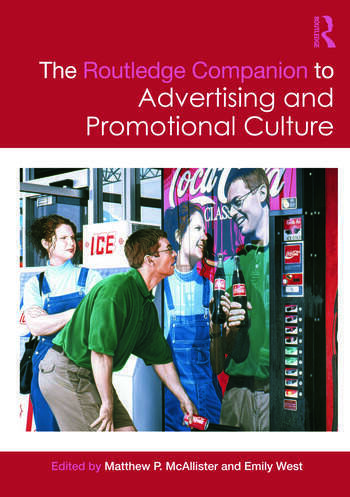 I was excited to receive in the mail my copy of The Routledge Companion to Advertising and Promotional Culture, edited by Matthew P. McAllister and Emily West (Routledge 2013). I have a chapter in the book titled “Commodifying Free Labor Online: Social Media, Audiences, and Advertising” that examines the relationship between, as the title indicates, advertisers and audiences on social media. Once again, I’m in excellent company: the book is jam-packed with top scholars in media and communication studies. Thanks to Matthew and Emily for the invitation to contribute. Previous Previous post: Interns of the cultural industries, unite!